Arrive At Mangalore Airport/Railway Station and transferred to Bekal. On arrival check in the hotel and relax for some time. Rest of the day is at leisure and you can also enjoy the backwater ride at Nileshwar Backwaters on your own. Later back to the hotel. Overnight stay at the hotel. After Breakfast take a full day sightseeing of Bekal Which covers Bekal Fort, Chandragiri Fort, Kodi Kliffs, Kappil Beach, Pallikere Beach and Bekal Aqua Park. After Sightseeing back to the hotel. Evening is at leisure for your individual activities. Overnight stay at the hotel. After Breakfast check out the hotel and proceed to Coorg. On arrival check in the hotel and relax for some time. Rest of the day is at leisure for your individual activities and you can also explore the Surrounding on your own. Overnight stay at the hotel. After Breakfast take a full day sightseeing of Coorg which covers Madikeri Fort, Abbey Falls, and take a Jungle Safari in the Nagarhole National Park. After safari Visit Honnamana Kere to enjoy the activities like Rock climbing and Boating in the Lake. Later back to the hotel. Evening is at leisure. Overnight stay at the hotel. After Breakfast check out the hotel and proceed to Kabini. On arrival check in the hotel and relax for some time. :Later take jungle or Boat Safari in the Park these two safaris take you into the deep of Jungle where one can see numerous wildlife in their natural habitat. After Safaris back to the hotel.Evening is at leisure for your individual activities for your individual activities. Overnight stay at the hotel. After Breakfast check out the hotel and proceed to Kozhikode. On arrival check in the hotel and relax for some time. 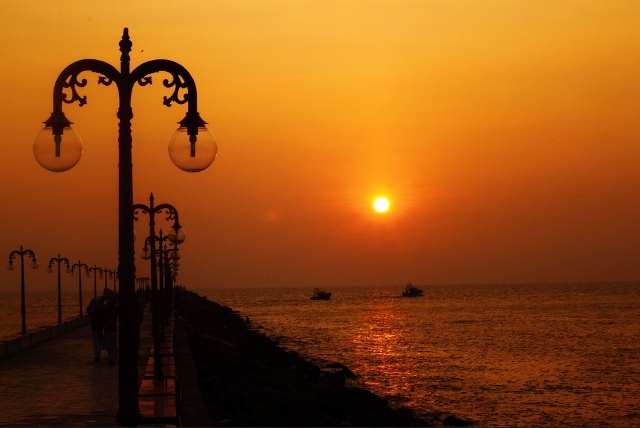 Rest of the day is at leisure and you can also take a half day sightseeing of Kozhikode. which covers Calicut Beach, Thali Temple, Kappad Beach, Pazhassiraja Museum and Beypore Beach. In evening back to the hotel. Overnight stay at the hotel. After Breakfast check out the hotel and proceed to Kozhikode Airport/Railway Station to board a flight or train for your onwards journey. Accommodation in well appointed room on Double occupancy basis for 06 nights. Jungle Safari at Nagarhole National Park, Coorg once during the stay on sharing basis. Jeep Safari on sharing basis at Kabini Wildlife Sanctuary once during the stay. All transfers, sightseeing and intercity travel using exclusive A/c vehicle inclusive of all tolls, parking, fuel charges, driver allowance. Vehicle provided will be for point to point basis as per the itinerary (not on disposal). Honeymoon special cake with candle lit dinner & bottle of wine along the river side once during the stay. Flower bed decoration with 01 glass of flavored milk once during the stay. Confirmation of the package will be done within 2 working days of the receipt of the amounts. In case of any increase in cost, you will be informed about the same and you will have to make payment within 4 days for enabling us to proceed with the bookings with our suppliers to give a confirmation. If you choose not to pay the increased cost, your only right shall be limited to receive the entire amount refunded which shall be done in 5 working days without any cancellation charges or penalties. If you have not decided yet or wants to customize tour itinerary or hotels listed above in "Mystique Malabar Tour Package With Travel XP", then we can change the travel itinerary and make a personalized, tailor-made holiday package, especially for you. We can modify this travel package as per your itinerary, budget, duration and the tourist places you would like to visit, including transportation and airfare should be included or not. Please fill the form below to contact us.